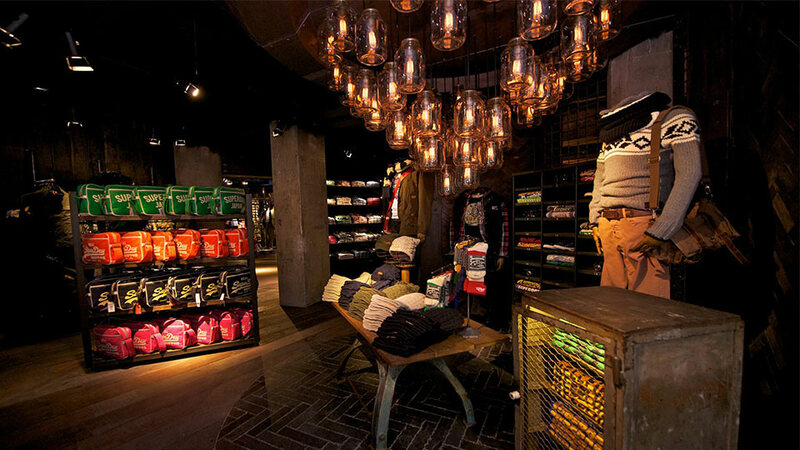 Retail lighting design in recent years has shifted from stark, bright interiors that show up every pimple to the complete opposite: dark, moody and club-like stores where you can barely see your own arm. 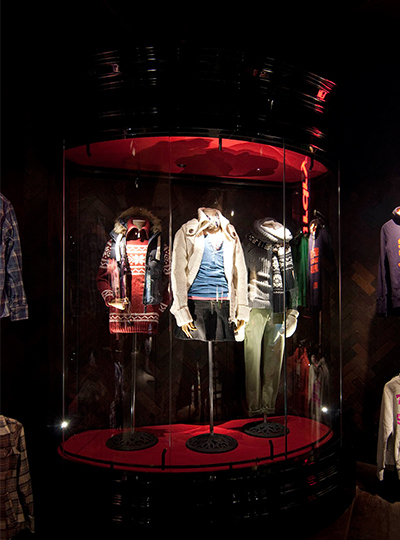 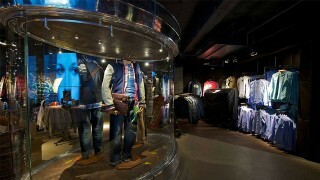 While Superdry’s style is closer to the latter, we overcame the “is this a skirt or a shirt?” problem by illuminating the interior to slightly higher light levels than competitor stores. 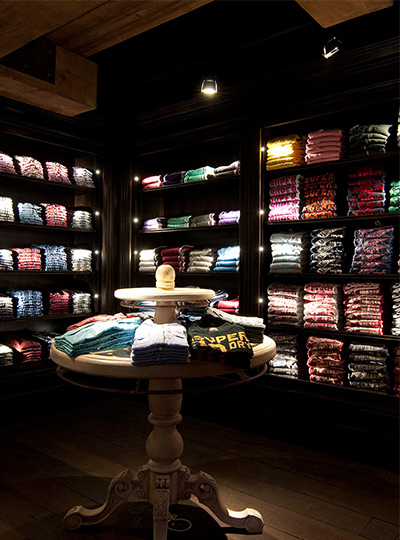 A club-like and dramatic vibe is still achieved, however, through using narrow-beam spotlights in place of ambient light. 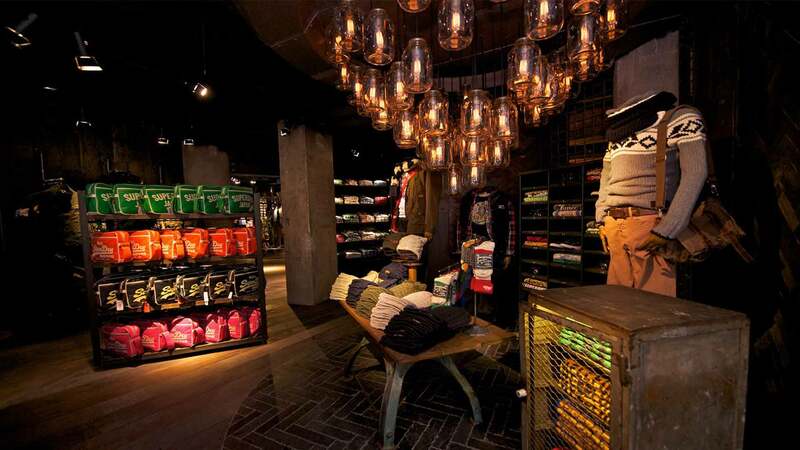 In keeping with the store’s strong retro feel, we kitted out the back walls of the central stairwell with spotlit mannequins interspersed with hefty linear fittings reclaimed from a disused Czechoslovakian railway station. 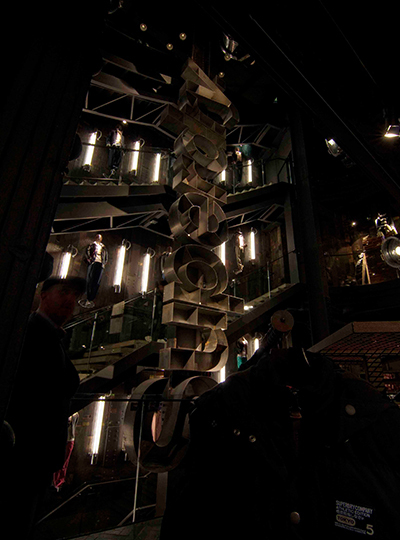 More industrial-style fittings come in the form of barrel-like searchlights which had been discovered in the Suez Canal; we cleaned them up and suspended them from the atrium walls to light up the massive “Superdry” logo sculpture. 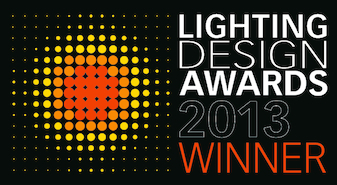 The high-contrast solution is better than many other similar schemes as it uses minimal energy. 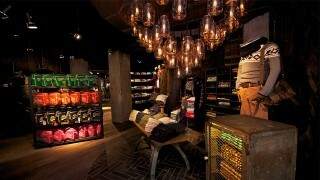 We also reused light fittings from the Suez Canal, which is pretty cool!